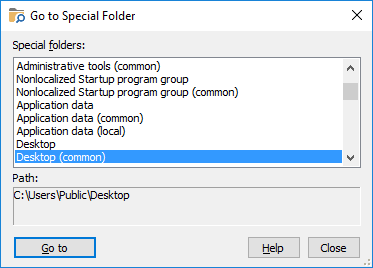 The list of the special folders defined for the current user account, as well as the common special folders (used for all user accounts). Note that the content of this list depends on the version of Windows that you use, as well as on the configuration of the user's accounts that you have set up. Displays the full path of the currently selected special folder.